At the beginning of this annual fund giving year, which began on September 1, 2015, we set a goal to receive $17,500 from 120 donors. While surpassing our dollar amount goal, by raising $17,528 to date, we also grew in donors from 76 in 2014-2015, to 92 this year! That is incredible! But why stop there? This is the last month to make a donation to the 2015-16 annual fund and have your name added to the Honor Roll. Please consider making your donation today. Click below for four reasons why you should give back to Alpha-Delta Chapter. Pride in 420 E. Prospect Ave.— That’s right- we’ve got a new home this year and we cant wait to show it off. 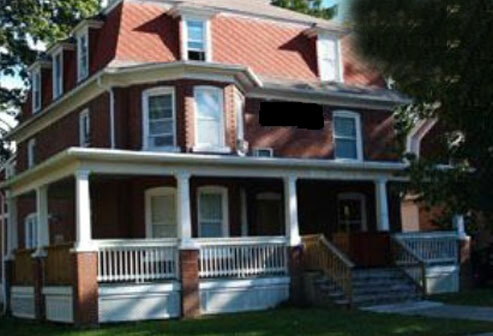 The Alpha-Delta Brothers will reside in the former KDR house and continue to exemplify the type of men the Star and Crescent Creed says they ought to be! Homecoming—These were some of the best years of our lives, so come back and relive them! Don’t miss this weekend, October 8, 2016 as the Nittany Lions take on Maryland at noon! 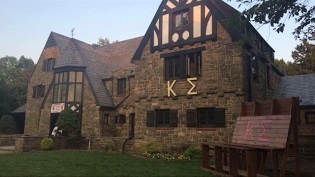 Get All of the Latest News—Kappa Sigma isn’t just for our college years, it’s a part of you forever. It’s family. Staying connected is very important, and so easy to do with our alumni website, eLetters and newsletters coming straight to your door. All you need to do is keep your contact information up-to-date. Alumni Guidance—The young men initiated into Alpha-Delta are often under 20 years of age. During our years as active members, there was reassurance in knowing that alumni were there for us. Now, as alumni, we understand we cannot ask a lifetime of experience from young men who are just now learning what leadership truly means. We must show them, as our brothers before us showed us.